With the help of our experienced engineers, we have been able to offer High Tension XLPE Cables. These are aesthetically designed and developed by the experts of our firm in different thicknesses and lengths following industry standards.Our experts make sure that only defect-free range is delivered at the customers’ end within the promised time. Our cables and wires have no alternative as they are manufactured from finest raw material. Today we are known by quality supplier, manufacturer of high tension XLPE cables. We offer High Tension Xlpe Cables. Industrial up gradation and polymer rebellion has replaced the conservative paper insulated cables and thermoplastic insulated cables with cross linked polyethylene (xlpe). The Polycab HT XLPE CABLES have better electrical, mechanical and thermal properties with compact cable weight and magnitude. Cosmo electrical offered electrical cables and different types of wires and cables for day today usage and as per current requirement of client, with our skilled, experienced engineers offers High tension XLPE Cables. Our experts make sure that fault free range is delivered to the clients at their specific time. These cables are from 1kV to33kV with aluminum and copper conductor is good conductor to electrical power with FRLS sheathed cablels. 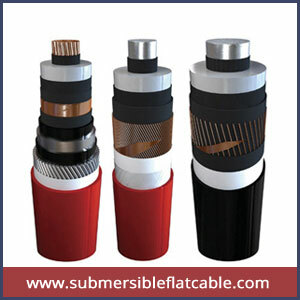 Arial bunched cables with multi core cables upto 630 sq mm and Single core cable up to 1000 sq mm.